I’m halfway through watching Marvel’s first foray into anime territory with series devoted to Blade, X-Men, and Wolverine. So far, their Iron Man series is rather good, so I’m looking forward to their latest venture. Official details below. Marvel Entertainment and Sony Pictures Entertainment Japan (SPEJ) announced today the return of iconic Super Hero, Iron Man, to the beloved world of anime in an all-new feature-length film, IRON MAN: RISE OF TECHNOVORE. Produced by Madhouse and currently in production in Japan, the film is slated for release on DVD in the spring of 2013. Directed by Hiroshi Hamasaki (Shigurui, TEXHNOLYZE) with story by Brandon Auman (The Avengers: Earth’s Mightiest Heroes, Iron Man: Armored Adventures), the film explores a confrontation between Iron Man and the villainous Ezekiel Stane, who develops new bio-technology that seemingly outclasses the Iron Man armor. After Stane unleashes a terrorist attack and sets Tony up to take the fall, Iron Man must evade S.H.I.E.L.D.’s man hunt and find a way to clear his name. Marvel’s Head of Television, Jeph Loeb to reveal more information surrounding Iron Man: Rise of Technovore at New York Comic Con during the Marvel TV Presents Panel on Saturday, October 13 at 4:15pm in Room 1E13. 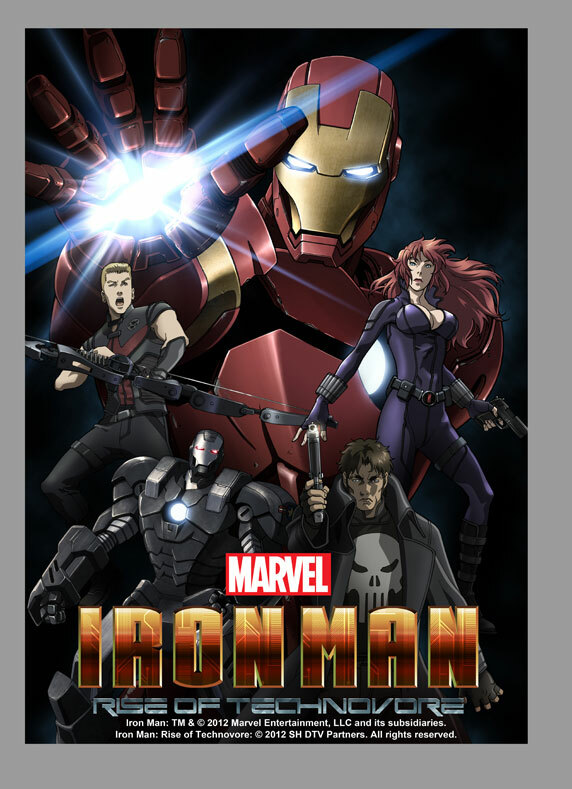 For more information, visit: https://www.facebook.com/marvelanimatedseries and http://www.marvel.com.